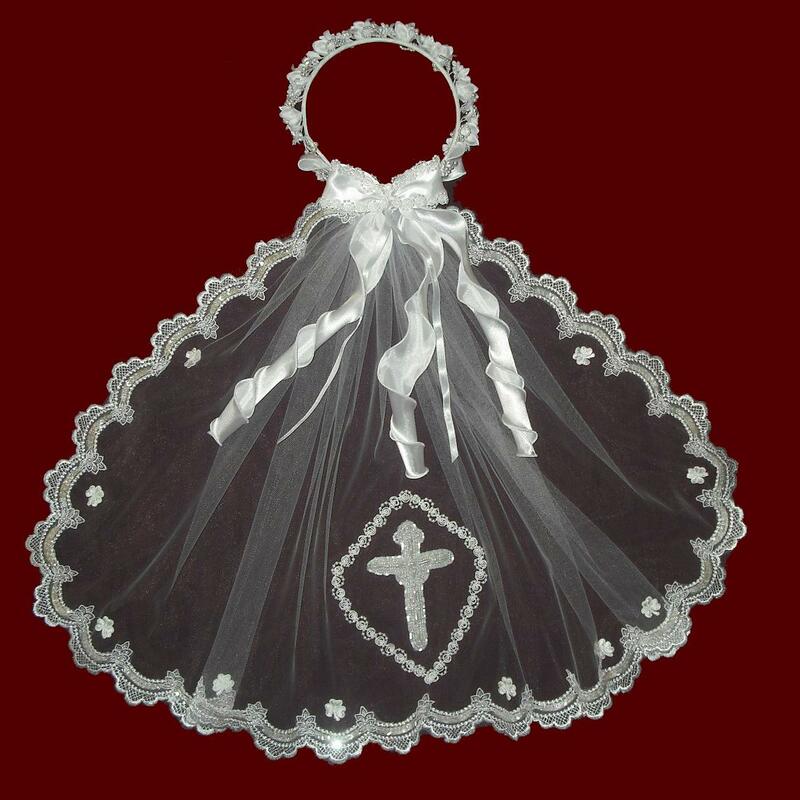 Design Your Own Communion Veil. Sequin Beaded Communion Veil With Optional Cross & Shamrocks & Headpiece. Irish Communion Veil With Beaded Scalloped Edging & Pearl Cross & Optional Headpiece. Scalloped Beaded Edge Veil With Bow and Beaded Cross/Hearts & Optional Headpiece. 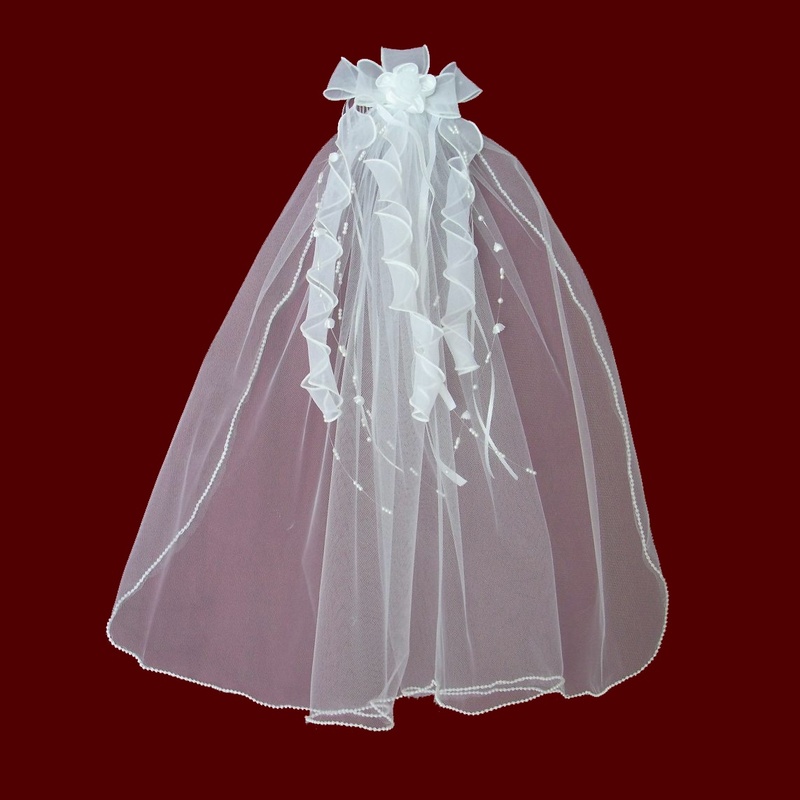 Beaded Scalloped Communion Veil With Organza Hairbow. Veil With Rhinestone Edge & Beaded Heart With Cross with Optional Choice of Headpieces. Pearl Trimmed Comb With Communion Veil. Silk Organza Floral Comb With Pearl Edged Veil & Optional Cross. Silk Satin Ribbon Bow With Optional Choice of Headpiece & Veil With Beaded Cross & Hearts. 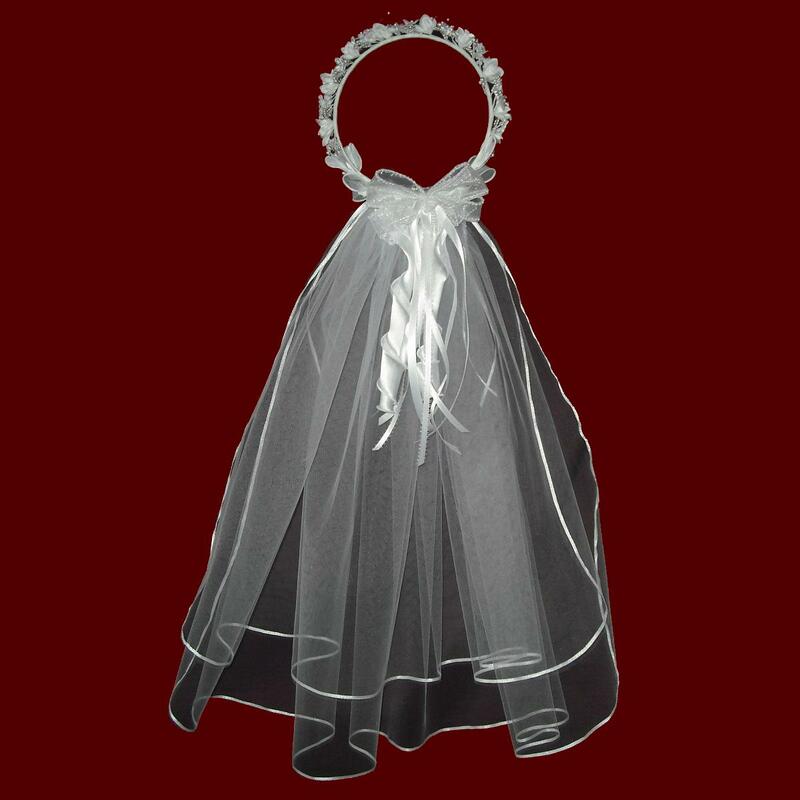 Communion Veil With Optional Floral Wreath & Cross. 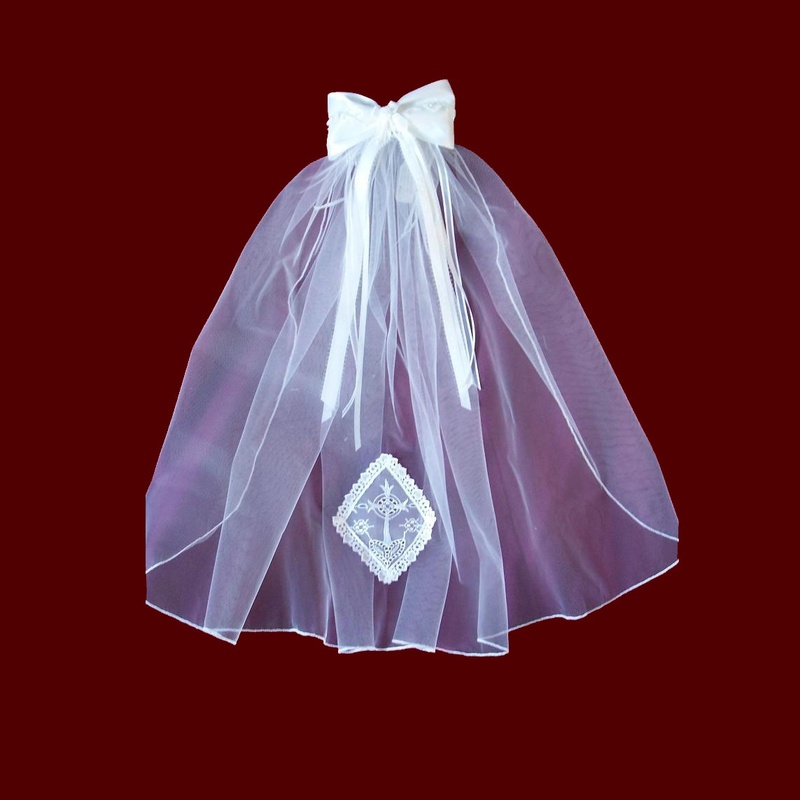 Beaded Edge Communion Veil With Organza Hairbow. 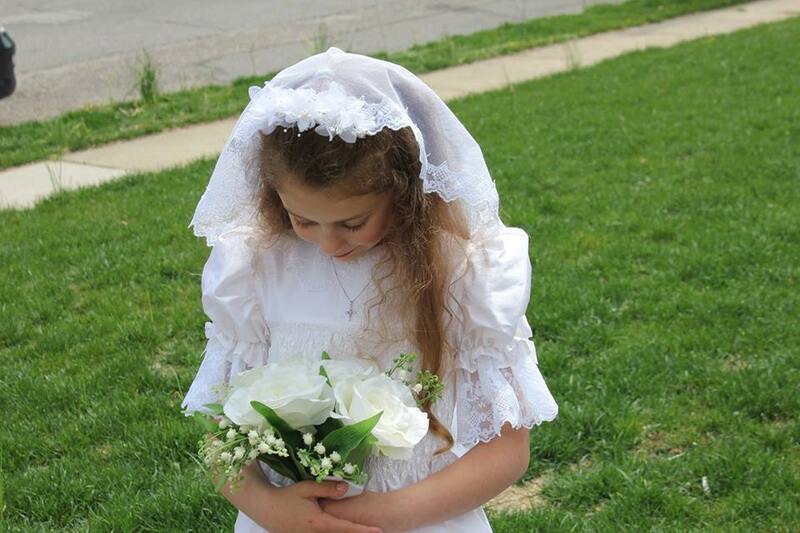 Silver Scalloped Communion Veil With Rhinestones & Curling Organza Hairbow. Satin Ribbon Hairbow & Cotton Bobbinet Veil With Swiss Cross & Optional Tiara. 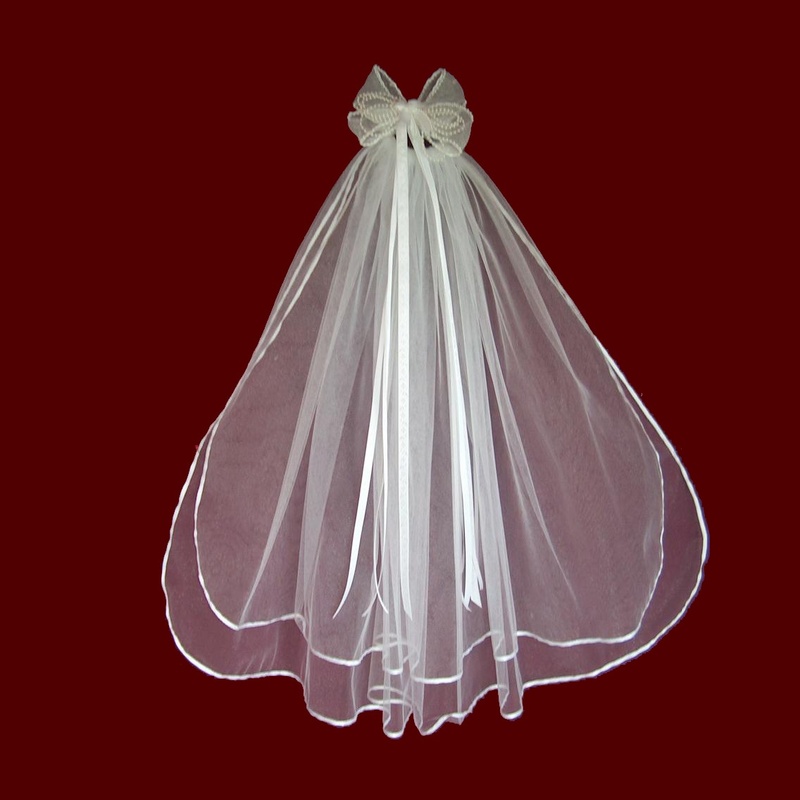 English Netting Communion Veil With Embroidered Cross & Silk Satin Hairbow. 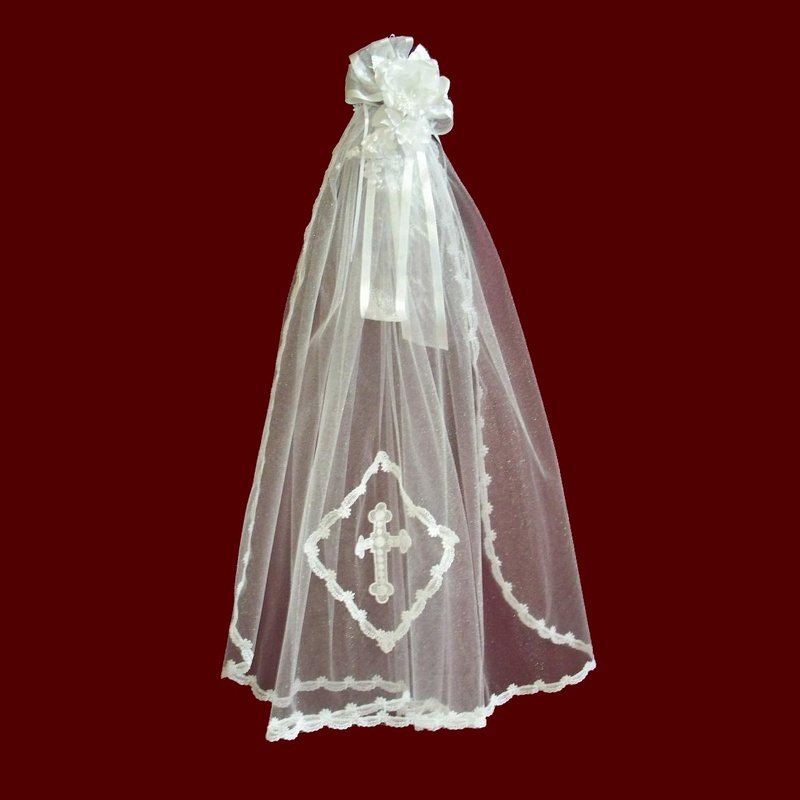 English Netting Mantilla Communion Veil With Scalloped Lace & Cross. Hand Embroidered Satin Communion Headband With Detachable Veil. 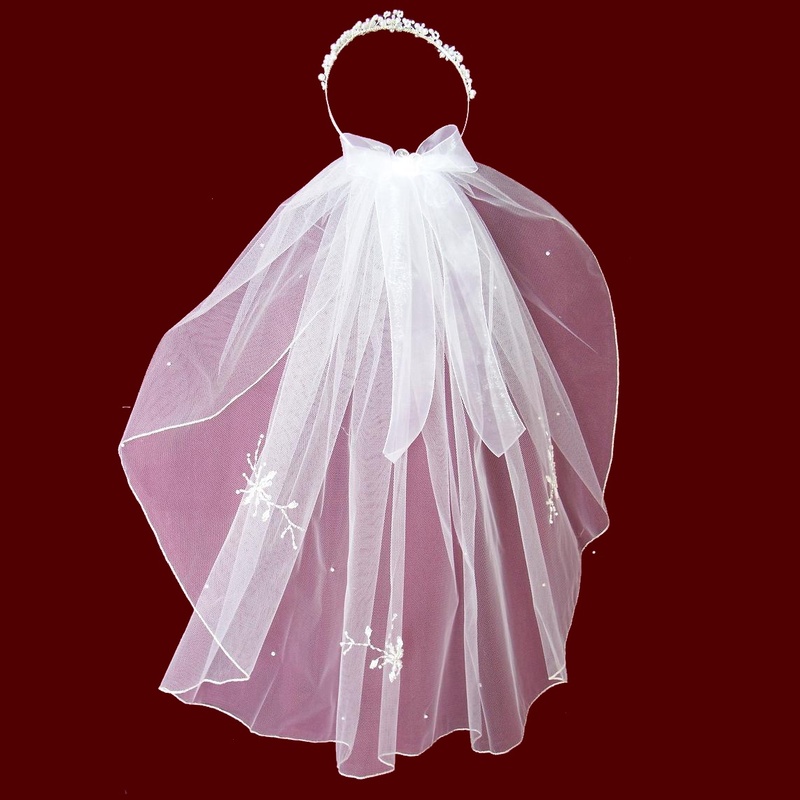 Rhinestone & Silver Beaded Veil With Your Choice of Tiara. Communion Hairbow With Optional Cross & Shamrocks & Headpiece. Organza Hairbow With Pearls & Veil With Optional Tiara. Floral Hairbow & Veil With Optional Cross & Tiara. Beaded Satin Hairbow With Veil & Organza Cross & Optional Headpiece. Satin Beaded Hairbow With Optional Cross & Veil. 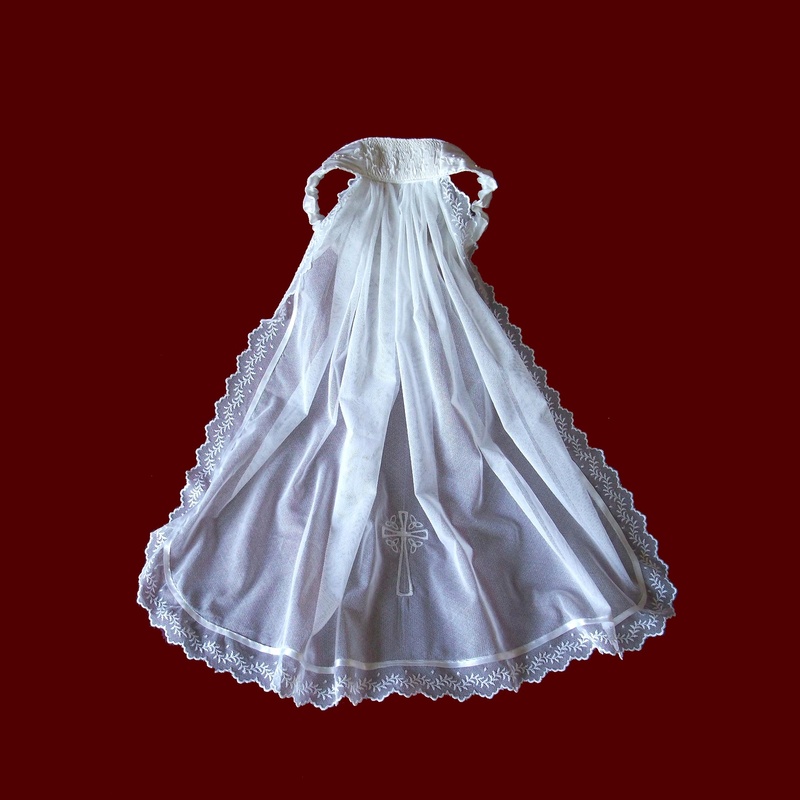 Hand Smocked Communion Headband With 100% Cotton Netting Veil. 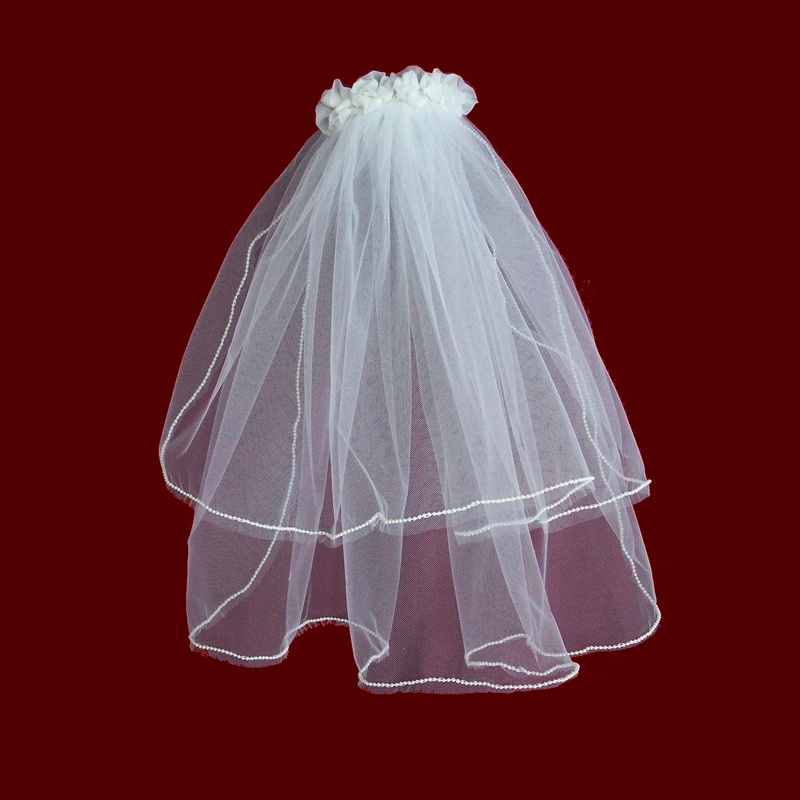 Chantilly Lace Mantilla Communion Veil.